The current price is 8900 Euro. Check the technical data of the unit, picked out from the catalog of HAULOTTE Compact 10DX scissor lift. 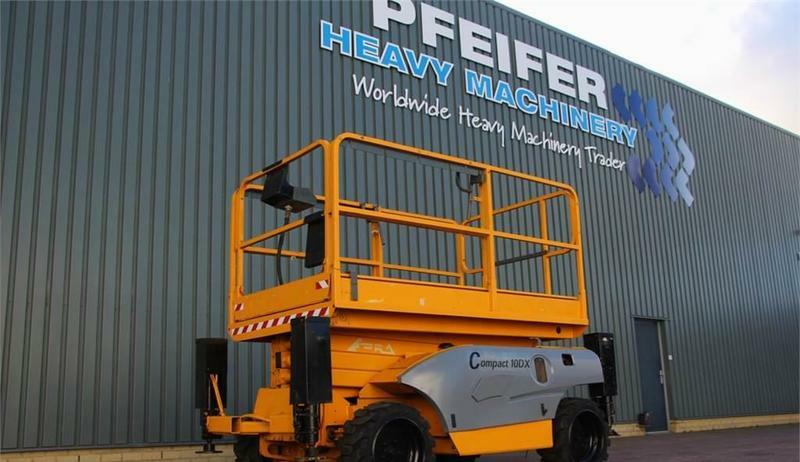 Pfeifer Heavy Machinery BV offers excellent transport solutions for business and individual needs. Engine details/gearing and fuel type: diesel. Wheel formula and suspension type: front tires: 50 %, rear tires: 50 %, tires: Solideal. The lifting capacity is 565 kg.